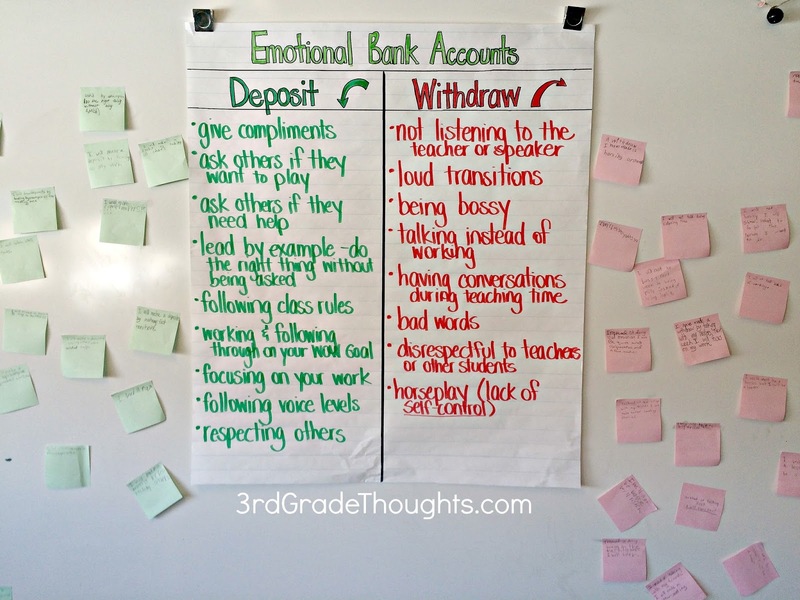 We've been working on developing our weekly goals and using each other to stay accountable in the process. 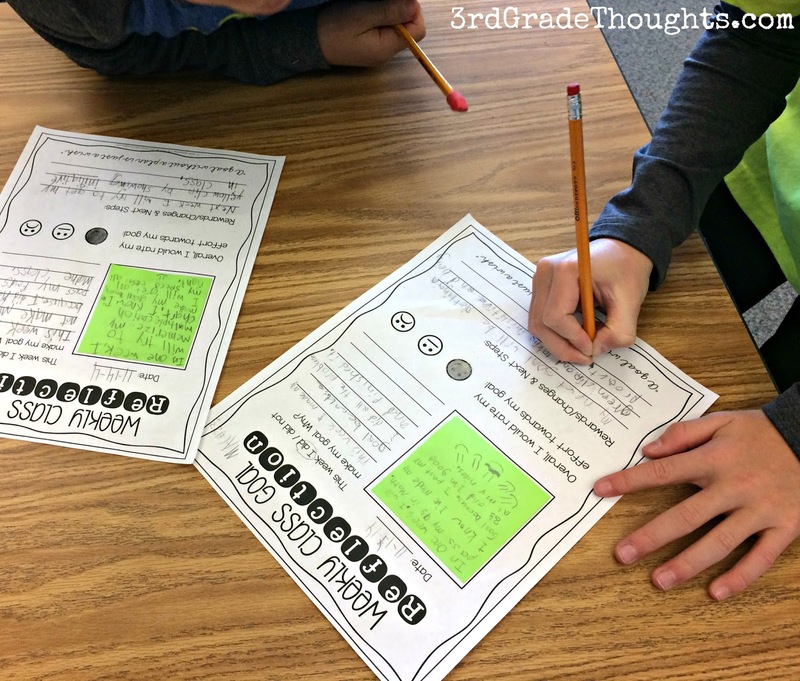 So far, we're working on small and manageable SMART Goals for our classwork. 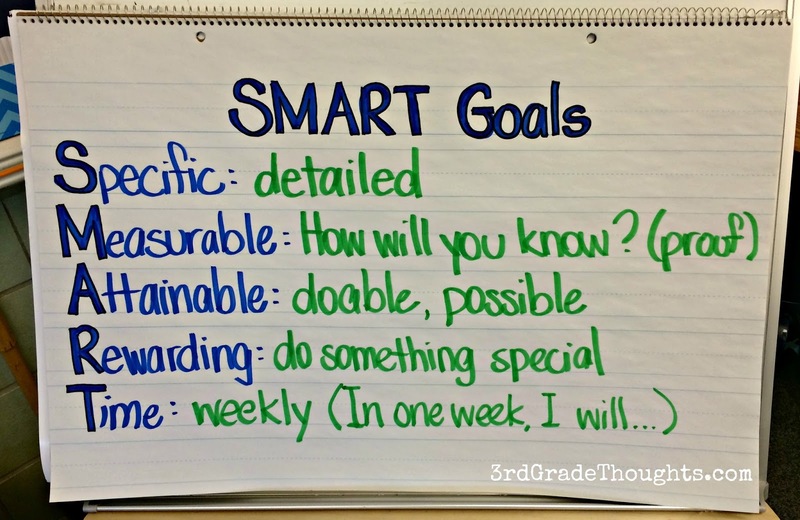 To read more about SMART Goals in our class, click HERE. 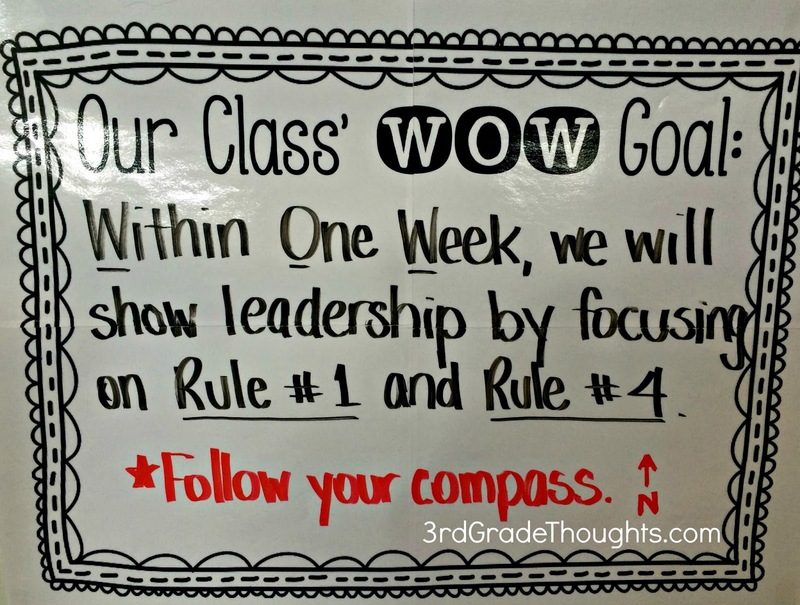 To read about our WOW Goals and Weekly Reflections, click HERE. 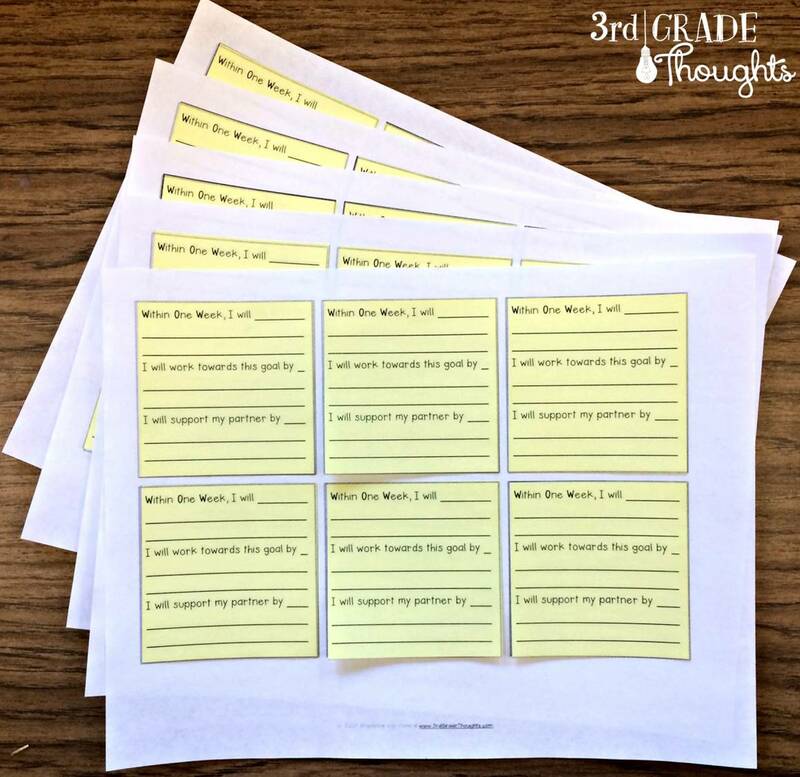 I want my students to help each other along the way, since we all know having a cheerleader and someone to check in with can help immensely in our success of that goal. 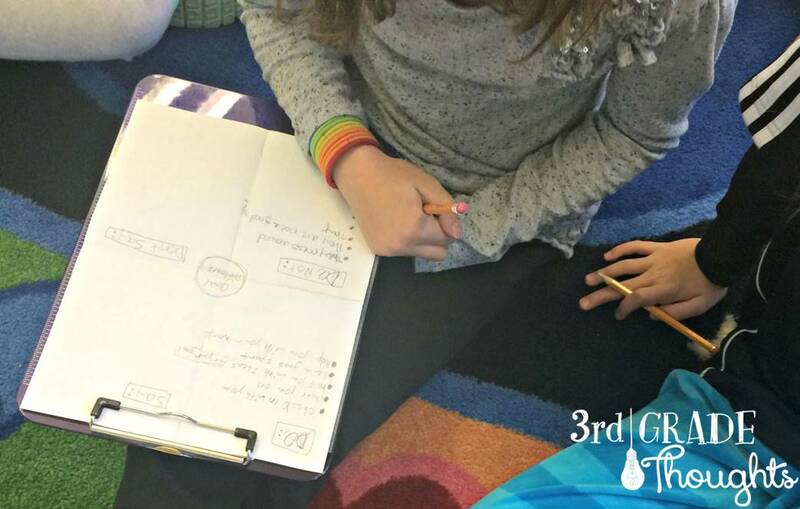 This Friday, before we began our weekly reflection, we gathered as a class, sitting next to our Goal Partner, to chat about what that looks like and sounds like to be effective and ineffective. I had kids share a paper with their partner and fold it into fourths, using the creases to make four quadrants like my chart. 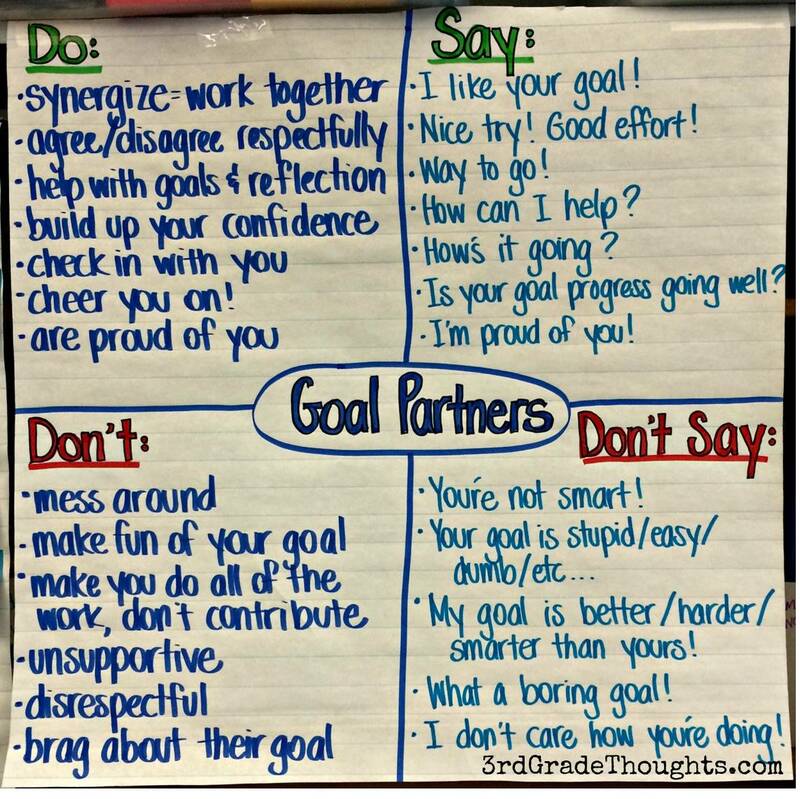 In the middle, they wrote "Goal Partners" and I gave them brainstorming time as a partnership to come up with bullet points for each section. 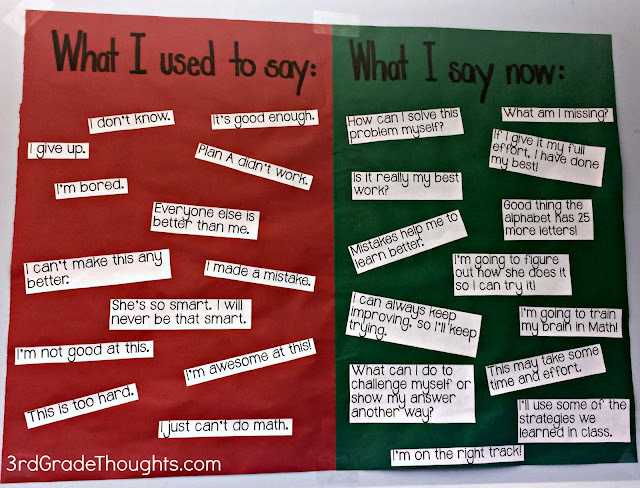 Bragging and inequality is definitely not the spirit we're looking to cultivate during these goal-setting exercises. 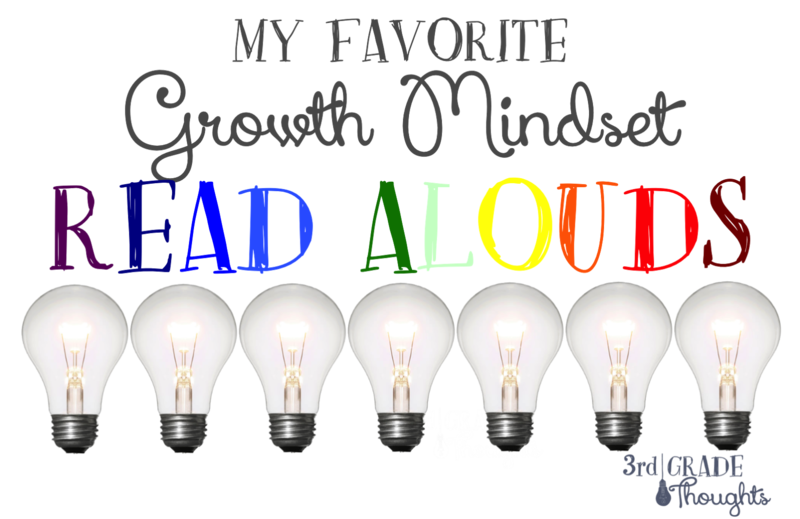 Leaders show pride in a job well done (going back to the Growth Mindset work HERE) and therefore, create a more equal setup where your pride in yourself and your pride in others allows for all to succeed in their goals and celebrate a job well done! 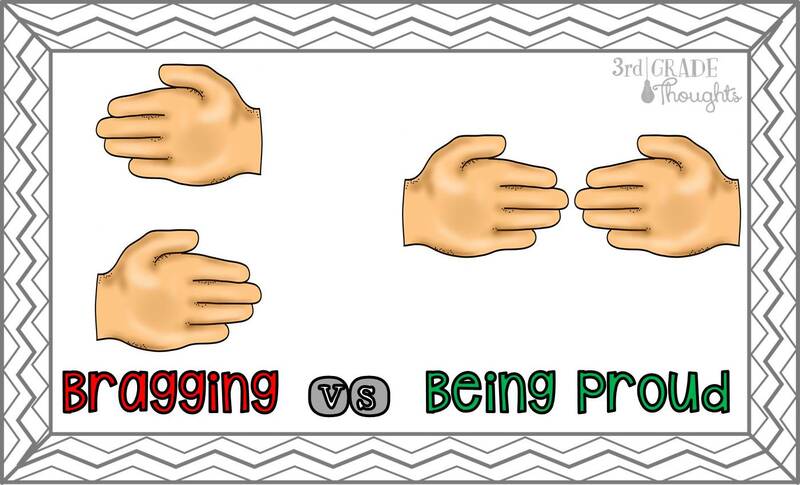 We then ran through a few scenarios from our completed chart and I had kids show me what they thought the situation fell under: Bragging or Being Proud, using hand signals only. It was a quiet but meaningful activity and we could easily tell the difference between what built each other up and what divided us. Yay! 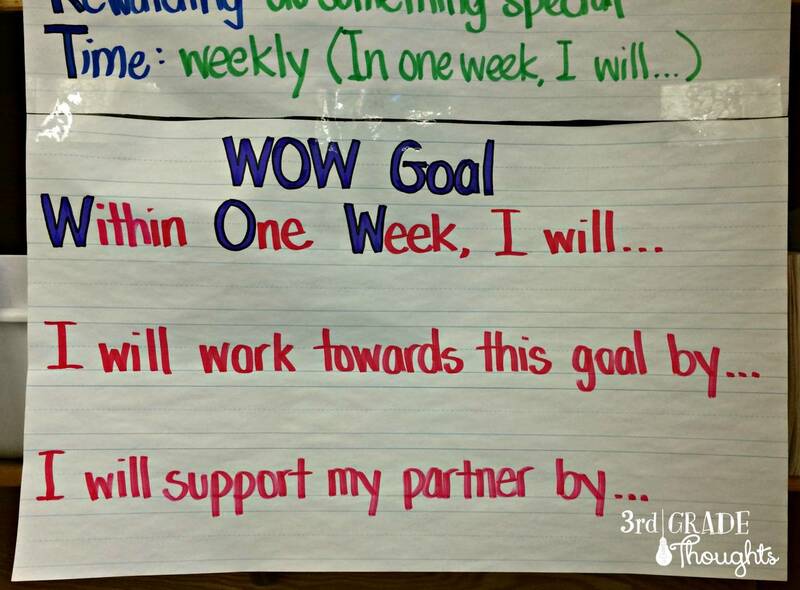 The last part of our exercise was to write our new weekly goals and add a small part about what they will do this week to support their partner. 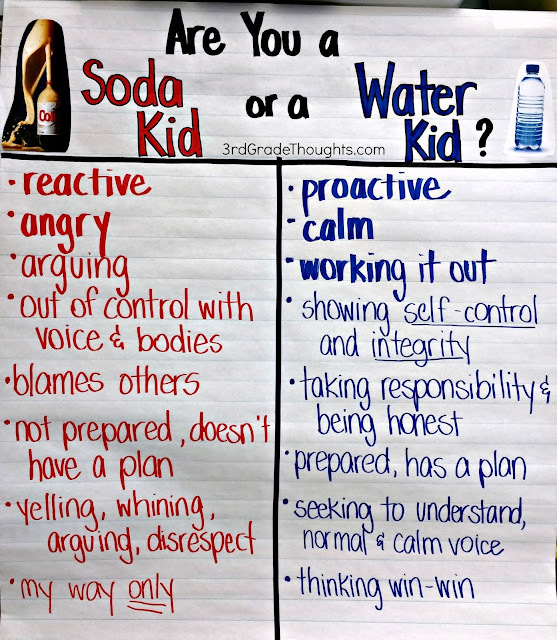 I also changed the second response to reflect the effort that they will show this week toward their goal, A small tweak, but something that is a bit more action-oriented and will give them one idea to run with this week as they work to meet their goal. 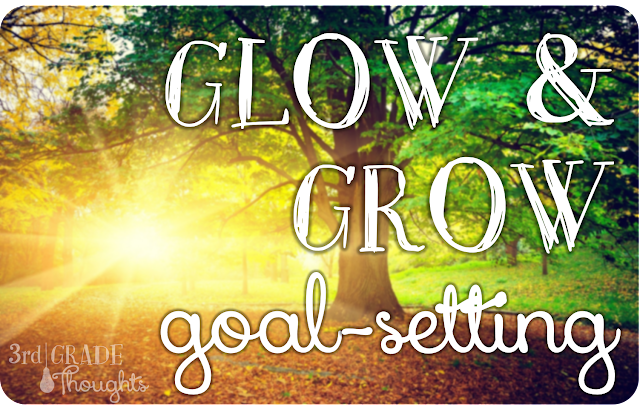 Now that we are almost through the different pieces and parts of a SMART Goal, reflection, partner accountability and support, and recognizing the Growth Mindset in us and others, my new plan is to start extending these goals to longer than one week. 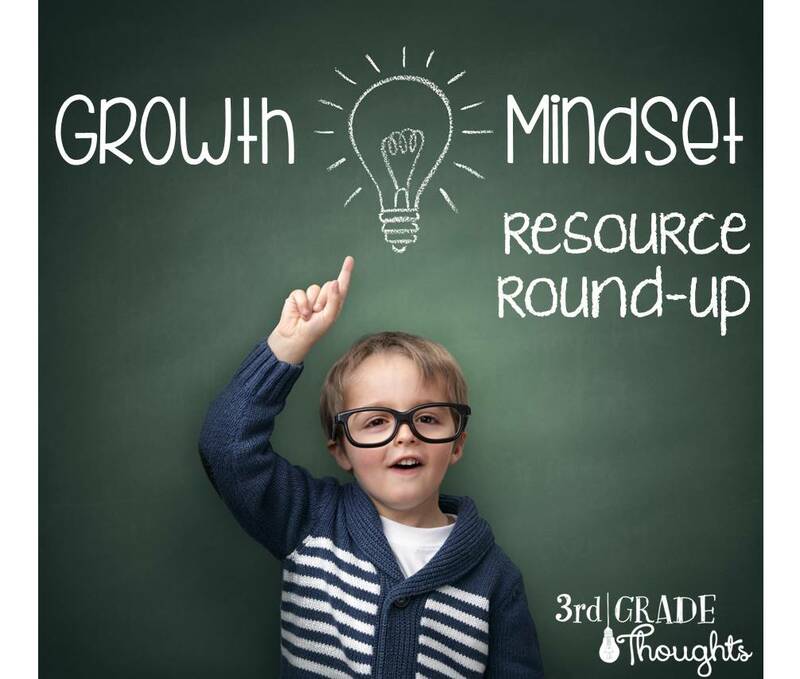 We've just started our second trimester, so I would love for them to think broader about their academic goals for the middle of the year and beyond.... more on this soon! I am so encouraged by your Goal Partners work. Wonderful! I had just read another great idea, http://monthbymonth.scholastic.com/organize.html bottom right of the page on Gift Giving, about building relationships in the classroom through giving and receiving and then discussing it. It was more of a short term activity (one week or so) and then this comes along and builds on it. My lucky week for blog reading.